Interaction between multiple autonomous agents is a core area of research in artificial intelligence. The ability to learn how to interact from experience has emerged as a useful paradigm to handle scenarios in which elements of the environment are unknown beforehand (such as the behaviours of other agents) or which are too complex to be solved by decision-theoretic planners. This half-day tutorial will provide a comprehensive introduction to multiagent learning, including foundational concepts in game theory and different methodologies developed in artificial intelligence research. The tutorial will also discuss some recent trends in multiagent learning research, such as ad hoc teamwork and deep reinforcement learning. The tutorial is designed to appeal to both beginners and researchers familiar with multiagent learning. Beginners will benefit from a systematic overview of the field while experienced researchers can freshen up their knowledge. The tutorial requires no prior knowledge of multiagent systems, but assumes familiarity with basic probability and statistics. Dr. Stefano V. Albrecht is a postdoctoral fellow in the Department of Computer Science at The University of Texas at Austin, where his research is supported by a Feodor Lynen Research Fellowship from the Alexander von Humboldt Foundation. His research interests are in the areas of autonomous agents, multiagent systems, machine learning, and game theory, with a focus on sequential decision making under uncertainty. 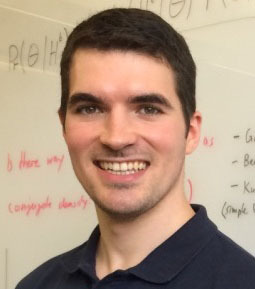 His research on multiagent learning and probabilistic inference has been published in leading AI conferences and journals, including AAAI, UAI, AAMAS, AIJ, and JAIR. Dr. Albrecht is a co-editor of the Special Issue on Multiagent Interaction without Prior Coordination, which recently appeared in the Journal of Autonomous Agents and Multi-Agent Systems. Dr. Peter Stone is the David Bruton, Jr. Centennial Professor and Associate Chair of Computer Science at The University of Texas at Austin. In 2013 he was awarded the University of Texas System Regents' Outstanding Teaching Award and in 2014 he was inducted into the UT Austin Academy of Distinguished Teachers. Professor Stone's research interests in artificial intelligence include machine learning, multiagent systems, robotics, and e-commerce. He is an Alfred P. Sloan Research Fellow, Guggenheim Fellow, AAAI Fellow, Fulbright Scholar, and 2004 ONR Young Investigator. 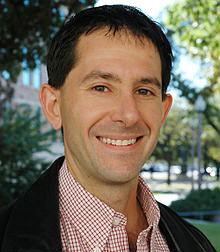 In 2003, he won an NSF CAREER award for his proposed long term research on learning agents in dynamic, collaborative, and adversarial multiagent environments. In 2007 he received the IJCAI Computers and Thought Award, and in 2016 he was awarded the ACM/SIGAI Autonomous Agents Research Award.